Did you know you can win a 30min mentoring session with some of the most amazing biz women in Oz for only $4? Including 3 sessions with me. 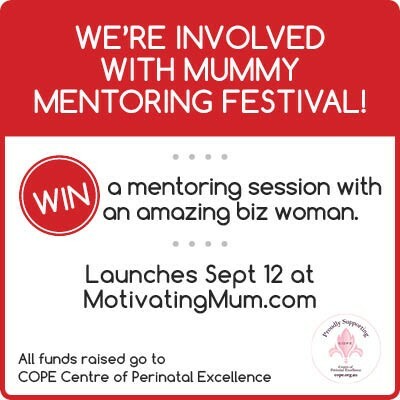 @MotivatingMumOz is currently running Mummy Mentoring Festival, where 30 mentors have donated 57 mentoring sessions, all in the name if raising funds for @COPEorg – supporting women with struggling with the pre and post-natal challenges of parenting.